CHASKA, Minn. (Sept. 29, 2017) ─ Intergenerational Living & Health Care, Inc. (ILHC), a nonprofit organization pioneering interactive programming to bring children and seniors together, will gather with local chamber of commerce leaders and members, development and design partners, and neighboring Stillwater residents on Friday, Oct. 6 to celebrate the groundbreaking of The Lakes at Stillwater. 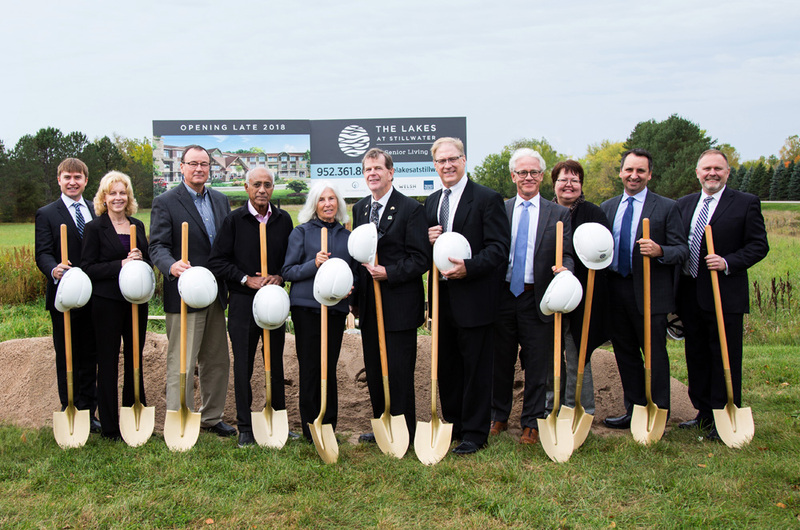 Based in Chaska, ILHC is starting construction this fall on phase one, The Lodge, a 139-unit independent, assisted living and memory care community. Phase two, Birchwood Landing, will include 30 independent living single story two-bedroom villas. Sandhill Shores, the third phase of the project, will have 70 one and two bedroom senior living apartments for ages 55+. 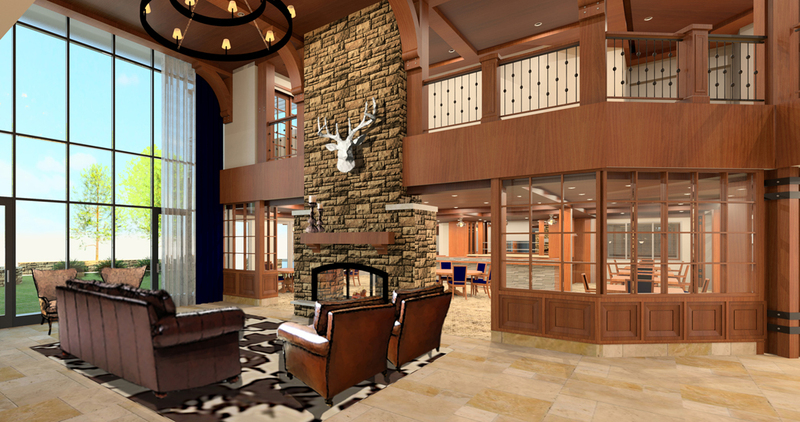 The lobby at The Lodge, a 139-unit independent, assisted living and memory care community. As part of the 50-acre campus at 107 Bridgewater Way, the centrally located Lodge will frame south-facing views towards Long Lake. The landscape plan will feature colorful and therapeutic plants, trees, gardens and other landscape elements to stimulate the senses and offer spaces for strolling, remembrance, relaxing, activities and gathering. Amenities include multiple dining venues and an open-concept kitchen, intergenerational learning program, state-of-the-art memory care community, wellbeing center, creative arts, salon spa, fireside bar lounge, outdoor amphitheater, reflections room, movie theatre, and Rock Steady Boxing affiliate program open to residents and non-residents diagnosed with Parkinson’s disease. 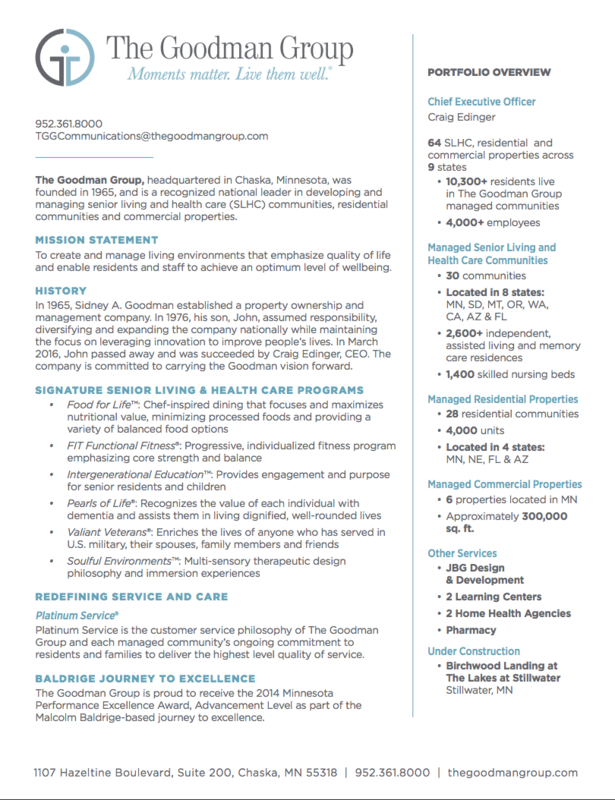 ILHC is working in collaboration with developer and manager The Goodman Group LLC, a Chaska-based, 52-year privately held senior living and health care management company with a focus on creating innovative person-centered lifestyles for healthy aging and wellbeing. Other partnerships include Bremer Bank, Welsh Construction, LLC, general contractor, Trossen Wright Plutowski Architects, P.A., architectural services, Northland Real Estate Group, LLC, co-real estate developer, and Landform Professional Services, LLC, civil engineering and planning services. Pictured left to right: Shane Goodman, President, JBG Design & Development; Kim Te Brugge, Vice President of Senior Living and Health Care, The Goodman Group; Joe Guertin, Board Member, Intergenerational Living & Health Care; John Kaiyalethe, Board Member, Intergenerational Living & Health Care; Elaine Burton, Board Member, Intergenerational Living & Health Care; Tom Egan, Board Member, Intergenerational Living & Health Care; Craig Edinger, CEO, The Goodman Group; Tim Getty, National Director of Sales & Marketing, The Goodman Group; Jennie Clarke, Board Member, Intergenerational Living & Health Care; Clint Knacke, CFO, The Goodman Group; Bill Howell, Director of Operational Development, The Goodman Group. 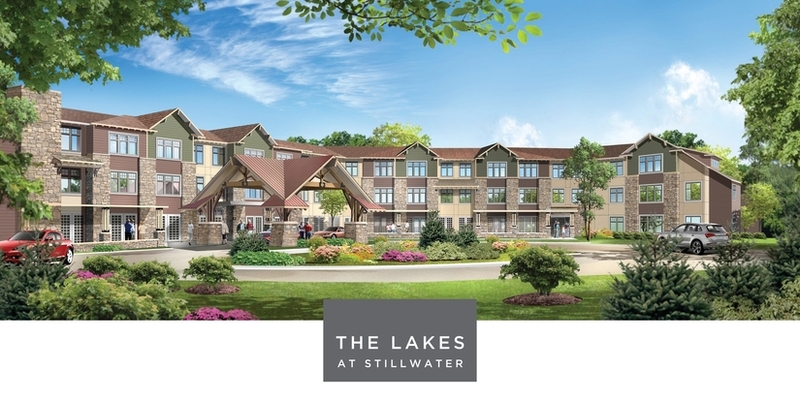 For more information, visit www.thelakesatstillwater.org or email info@thelakesatstillwater.org.